J. Gutierrez, P. Harrenstein, and M. Wooldridge. Iterated Boolean Games. Information and Computation. Forthcoming. F. Brandt, M. Brill, F. Fischer, and P. Harrenstein. Minimal retentive sets in tournaments. Social Choice and Welfare, 42(3):551-574, 2014. M. M. de Weerdt, P. Harrenstein, and V. Conitzer. Strategy-proof contract auctions and the role of ties. Games and Economic Behavior, 86: 405-420, 2014. H. Aziz, M. Brill, and P Harrenstein. Testing substitutability of weak preferences. Mathematical Social Sciences, 2013. P. Harrenstein. Logical consequence and the theory of games. Philosophia Scientiae, 8(2), 2004. P. Harrenstein, W. van der Hoek, J.-J. Meyer, and C. Witteveen. A modal characterization of Nash equilibrium. Fundamenta Informaticae, 57(2-4), 2004. J. Gutierrez, P. Harrenstein, and M. Wooldridge. Reasoning about Equilibria in Game-like Concurrent Systems. In Fourteenth International Conference on Principles of Knowledge Representation and Reasoning (KR-2014), Vienna, Austria, July 2014. H. Aziz, F. Brandt, and P. Harrenstein. Fractional Hedonic Games. Proceedings of the 12th International Joint Conference on Autonomous Agents and Multi-Agent Systems (AAMAS). pages 5-12. IFAAMAS, 2014. J. Gutierrez, P. Harrenstein, and M. Wooldridge. Iterated Boolean Games. In Proceedings of the Twenty Third International Joint Conference on Artificial Intelligence (IJCAI-2013). 2013. F. Brandt, P. Harrenstein, K. Kardel, and H. G.  Seedig. It only takes a few: on the hardness of voting with a constant number of agents. Proceedings of the 2013 international conference on Autonomous agents and multi-agent systems (AAMAS). International Foundation for Autonomous Agents and Multiagent Systems, 2013. P. Harrenstein, M. M. de Weerdt, and V. Conitzer. A qualitative Vickrey auction. In Proceedings of the 10th ACM Conference on Electronic Commerce (ACM-EC), pages 197-206, 2009. Earlier version appeared at the 1st International Workshop on Computational Social Choice (COMSOC). P. Harrenstein, W. van der Hoek, J.-J. Meyer, and C. Witteveen. On modal interpretations of games. In F. van Harmelen, editor, Proceedings of the 15th European Conference on Artificial Intelligence (ECAI), pages 28-32, 2002. P. Harrenstein, W. van der Hoek, J.-J. Meyer, and C. Witteveen. Boolean games. In J. van Benthem, editor, Proceedings of the 8th Conference on Theoretical Aspects of Rationality and Knowledge (TARK), pages 287-298, 2001. H. Aziz, P. Harrenstein, J. Lang, and M. Wooldridge. Boolean Hedonic Games. In Eleventh Conference on Logic and the Foundations of Game and Decision Theory (LOFT-2014), Bergen, Norway, July 2014. Paul Harrenstein and Tamas Mahr and Mathijs M. de Weerdt. A Qualitative Vickrey Auction, in: Ulle Endriss and Paul W, Goldberg (Eds.). Proceedings of the 2nd International Workshop on Computational Social Choice, pp. 289-301. University of Liverpool , 2008. Earlier versions under the title 'Dominance in social choice and coalitional game theory' were presented at the 5th International Conference on Logic, Game Theory and Social Choice (LGS), Bilbao, 2007, the Dagstuhl Seminar on Computational Issues in Social Choice, Wadern, 2007 and Eighth Conference on Logic and the Foundations of Game and Decision Theory (LOFT8), Amsterdam, 2008. Felix Brandt, Felix Fischer and Paul Harrenstein. The computational complexity of choice sets, in: U. Endriss and J. Lang, editors, Proceedings of the 1st International Workshop on Computational Social Choice (COMSOC), 2006. B.P. Harrenstein and M. Dastani. Effectivity and Noncooperative Solution Concepts. in: G. Bonanno, W. van der Hoek and Mike Wooldridge (eds. ), Seventh Conference on Logic and the Foundations of Game and Decision Theory (LOFT7), University of Liverpool, Liverpool, 2006, informal proceedings. Paul Harrenstein and Mehdi Dastani. John-Jules's Strategic Mind. 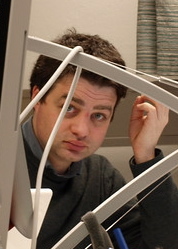 in: Wiebe van der Hoek (ed. ),  Liber Amicorum, ter gelegenheid van de 50e verjaardag van John-Jules Charles Meyer, 2004. B.P. Harrenstein. A Game-theoretical Notion of Consequence. in: G. Bonanno, E. Colombatto and W. van der Hoek (eds. ), Fifth Conference on Logic and the Foundations of Game and Decision Theory (LOFT5), ICER, Turin, 2002, informal proceedings. B.P. Harrenstein, W. van der Hoek, J.-J. Meyer and C. Witteveen. Subgame Perfect Nash-Equilibria in Dynamic Logic. in: M. Pauly and A. Baltag (eds. ), Proceedings of the ILLC Workshop on Logic and Games, Held in Amsterdam, November 19-20, 1999, ILLC Prepublications Series PP-1999-25, pp. 29-30, ILLC, Amsterdam, 1999.